Juliane Matthey summarises the highs and lows of "the big four" ski regions in Europe: France, Austria, Switzerland and Italy. Skiing in France usually means two things: skiing on a very high altitude and in huge resorts. 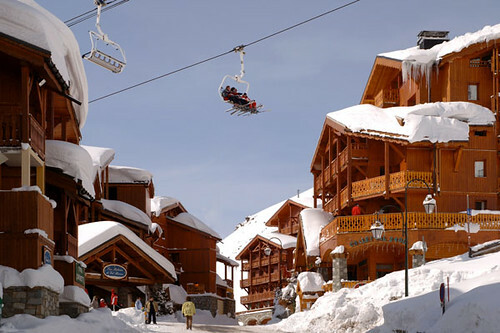 France is famous for its cosmopolitan ski resorts. Most of them, like [R206R, La Plagne] for instance, were built from scratch in the 1950s and 1960s, in places where there used to be nothing but Alps. As a result, many of the resorts are located higher than in any other European country (like [R602R, Val Thorens] at 2300 metres above sea level, or [R600R, Tignes] at 2100 metres), which means that excellent snow conditions are guaranteed up to half a year. Among the many enormous French ski areas, the Three Valleys and Portes du Soleil are the biggest. The Portes du Soleil spans 650 kilometres of slopes that are dispersed into 12 individual resorts in France and Switzerland. The Three Valleys is the world's biggest interconnected ski resort, covering 600 kilometres of slopes. If you want to go off-piste, Tignes, [R593R, Les Deux Alpes], and [R483R, Val d'Isère] are a good choice. Most of the stations, among which [R106R, Chamonix] is by far the biggest and most cosmopolitan, offer restaurants (mainly rather highly priced, but in exchange you can even get Michelin-Star cuisine), pubs, concerts, discotheques, spas, gyms, and the possibility to shop till you drop. There are some exceptions though. Châtel and [R1563R, Les Gets] in Haute-Savoie are two examples of smaller stations that have retained their traditional charm, with alpine architecture, family-run guesthouses, and typical cuisine of the region manufactured by farmers living nearby. The French Tourist Board says, "Whether you're heading to centuries-old towns like Chamonix, Val d'Isère, and [R1085R, Megève], purpose-built resorts like [R598R, Méribel], [R117R, Courchevel], and Val Thorens, or a resort that combines the two, like La Plagne, skiing is big beyond imagination and the French "joie de vivre" is for real." Austria's number one skiing region is Tyrol, with 3500 kilometres of slopes and its world famous resorts such as [R565R, Soelden], [R677R, Ischgl], and [R422R, St. Anton]. The region of Salzburg comes in second, with 1700 kilometres. 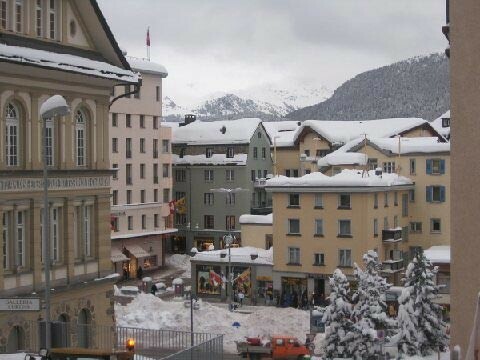 [R534R, Saalbach-Hinterglemm] and [R716R, Obertauern] are Salzburg's most popular ski resorts. Third place is shared by Vorarlberg (with [R212R, Lech am Arlberg] as its most popular resort) and Carinthia with 1031 kilometres of ski slopes. Most Austrian ski resorts feature state-of-the-art lifts, such as eight-person cable cars or heated chairlifts, and slopes are usually in excellent condition. Austria's off-piste skiing is famous, especially in high-altitude areas such as Arlberg, Silvretta-Montafon, [R516R, Zell am See], and Grossglockner (Carinthia), Austria's highest peak. The times when Austria used to be known as a winter sports destination for smaller budgets are over. You will not get a one-day ski pass for less than €25, and prices can reach up to €44, depending on the ski resort's size and location. Lift companies are quite family-friendly, though: virtually all of them grant free rides to children under the age of 6, some even to children under the age of 10. Furthermore, despite lift pass prices, Austria tends to be cheaper in terms of food and drink. Après-ski is said to have its origins in Austria. In some resorts the parties do not start after (après) skiing, but noon at the latest. You can have beer, champagne or Jagatee (tea with rum) in cosy huts close to the slopes or in bars and discotheques down in the valley. St. Anton, Ischgl, Soelden, and Saalbach-Hinterglemm are famous for their après-ski parties where the booze is flowing in gallons, the music is loud, and flirting is mandatory. On the other hand, one must not forget that Austria is also home to alpine "Gemuetlichkeit" (coziness) and delicious local cuisine. Most of the inns and huts are run by local families who are happy to serve you traditional cuisine, such as dumplings, pasta with cheese, schnitzel, and tons of sweet pastry. Some fruit schnapps afterwards is highly recommended. From middle-European countries you can reach Tyrol, Vorarlberg and Salzburg within a day going by car or high-speed train (Eurocity or German Intercity to [R189R, Innsbruck], for instance). If you go by plane Innsbruck is a good base for Tyrol: You can reach all resorts within two hours from there. Switzerland is proud of its traditions, its old heritage, and its unique nature. Uniting four different peoples and languages in one country, Switzerland is also the most diverse among the alpine winter sports destinations. Most of the Swiss ski resorts are located in the regions of Valais, Graubuenden, Central Switzerland, Bernese Oberland, and Eastern Switzerland. Valais offers the highest peaks (47 of them higher than 4000 metres) and the longest slopes (up to 17 kilometres at Zermatt). In the Bernese Oberland you can find the cosiest huts and the largest network of hiking and snowshoeing trails. The Lake Geneva area is famous for its nature reserves, but also for Europe's biggest ski resort, the Portes du Soleil, including twelve resorts in Switzerland and France. In the Jungfrau Region you can find powder slopes up to 3000 metres. The Canton of Lucerne is perfect for freeriding. The Fribourg Region offers less spectacular pistes than the others, but is perfect for budget vacation. Among the 30 most popular ski resorts, [R609R, Gstaad] offers the cheapest one-day tickets (CHF42 or €29), while [R424R, St. Moritz Engadin] is not only the most glamorous, the sunniest, and the biggest individual resort in Switzerland, but it is also the most expensive (CHF71 or €48). There are some smaller and less cosmopolitan ski resorts such as [R616R, Andermatt] or [R1232R, Bruson], though, where a family of four can go skiing for a whole day and have a hearty Swiss lunch in a cosy hut for less than CHF120 (€80). The most family-friendly resorts bear the "Familien willkommen" (families welcome) label. 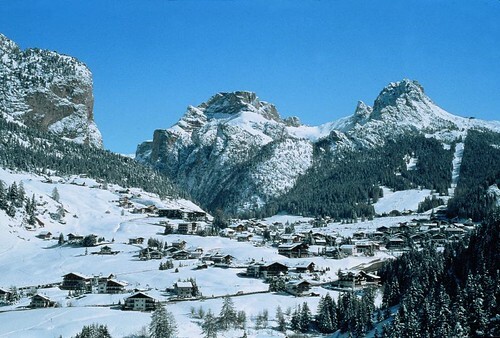 To most German-speaking skiers, skiing in Italy means the South Tyrol. It once belonged to Austria and is today known for comfortable ski resorts and cosy villages. Slopes are excellently groomed; many of them are wide and moderately steep, perfect for relaxed carving. If you want to take it up a notch, stick to slopes like the Trametsch (R2801R, Brixen] resort), the Ahrndt, the Herrnegg ([R2290R, Kronplatz] resort) or the Rotwandwiesen (Sexten resort). South Tyrol also has to offer a hearty cuisine (the ham and the Vinschgau bread are famous) and some exquisite wines. Farm holidays close to the ski resorts are a wonderful and low-priced alternative to hotels. The Dolomites (located mainly in the South Tyrol, Trentino, and Veneto regions) are regarded as the world's most beautiful mountain range by many. It is no surprise that they are part of the Unesco World Heritage. The Dolomiti Superski resort alliance spans twelve resorts and 1200 kilometres of slopes (many of them rather demanding, especially in Trentino), making it the world's biggest ski resort alliance. 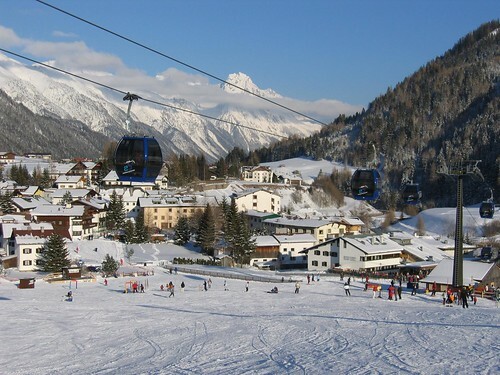 Veneto is Italy's most popular region amongst tourists, with [R604R, Cortina d'Ampezzo] as its number one ski resort. The Dolomites reach all the way to north-eastern Italy, to the Friuli-Venezia Giulia region neighbouring Slovenia. The region features charming, internationally less well-known resorts such as [R1751R, Piancavollo] or picturesque Valcellina, ideal for skiers who prefer originality rather than glamour. Piedmont is Italy's second largest region, and is not overrun by tourists despite its 2000 kilometres of slopes for all levels. If you want to go heliskiing or backcountry skiing, the Aosta Valley is the place for you. There, where the peaks reach higher than 4000 metres, you will find eight heliskiing bases and hundreds of guides. Regarding ski pass prices Italy is a bit more moderate than the other major European winter sports destinations. At low season you can even get the Dolomiti Superski pass for €36.